Before I get into the details of the day I quit gymnastics, I want to preface this post and all subsequent posts entitled And Then I Quit with with following statement: I am not a proponent of quitting. That being said, this is the first post in a short series of posts I am doing for my high school girl’s small group. They asked for it and I aim to please. I should also say that I fully understand that I have lived a privileged life so far. My parents are fantastic and allowed my sister and me to pursue our dreams, even if that meant taking some time to try a few things out until we figured out our dreams. Me, being the no-nonsense type of person, quit a number of hobbies after a (at the time) traumatic experience that immediately ended my pursuit of said hobby. 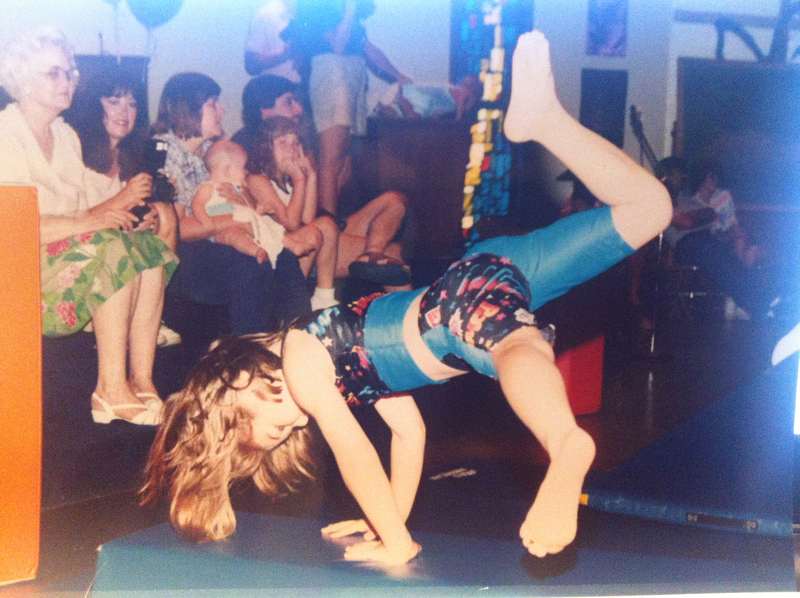 So…this is about the day I quit gymnastics. Sara and I were about four years old. We were still dressing the same. 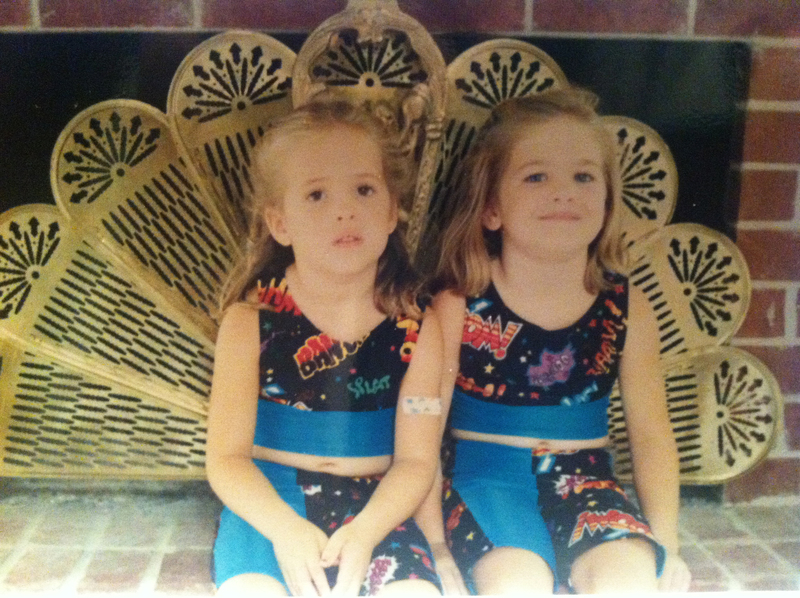 We had awesome gymnastic outfits. 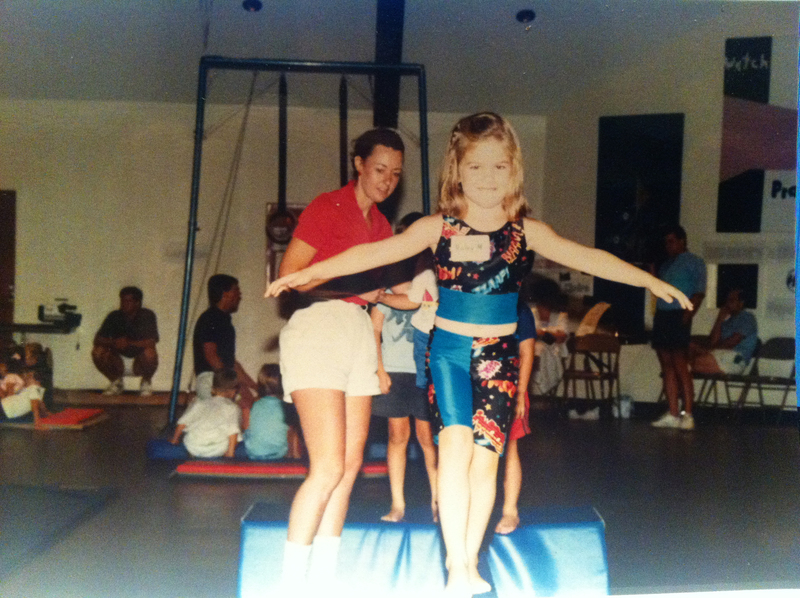 Like many four year olds, we were in gymnastics. I hear it is supposed to help with hand-eye coordination and body control. I wasn’t worried about that then. All I cared about was jumping in the foam blocks pit and probably wearing my awesome outfit. The trampoline was pretty cool too. One day we had a little meet…whatever that means for four year olds. But there were medals, so I’m sure it was pretty important to me at the time. Unfortunately, I can’t remember, because as I was doing a cartwheel over a block, I kicked my spotter, a very pregnant woman, right in the stomach. I cried. I was terrified that I killed the baby. And then I quit gymnastics. BTW…you did rock the outfit! Nathan doesn’t understand why I just about tore a ligament from laughing so hard just now. And those outfits WERE awesome! This is so great. I have numerous embarrassing leotards at my parent’s house somewhere… except it took me about 8 more years than you to figure out I would never be strong enough or coordinated enough to make it in gymnastics. Darn you, Kerri Strug for being so inspiring!